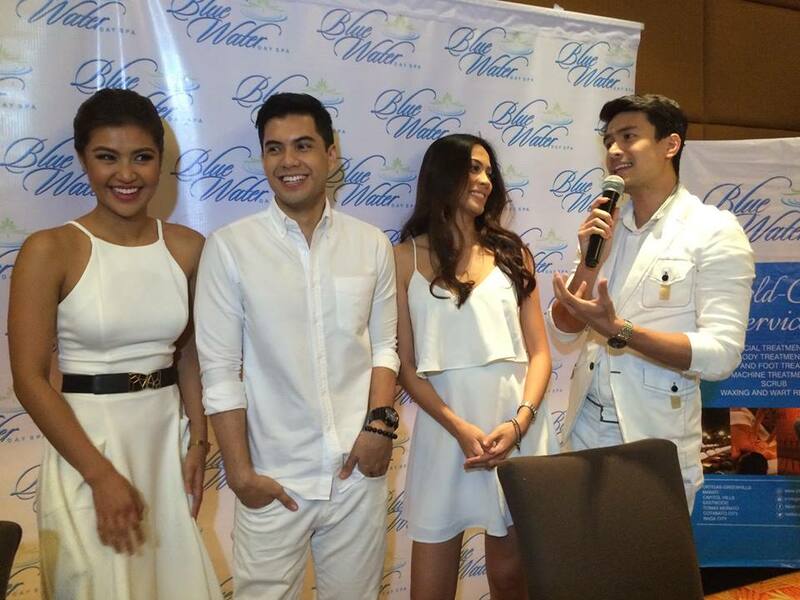 Blue Water Day Spa brand ambassadors Christian Bautista, Ariella Arida, Wynwin Marquez and Ken Alfonso. People nowadays become more and more exposed to harmful free radicals and toxins we get from unhealthy food intake and pollution. Our body becomes heavy because of the buildup waste, leading to a loss of energy and an uncomfortable disposition. Detox and regain your energy through Therapeutic Colonic Massage, the newest and most effective detox management treatment by Blue Water Day Spa. It was launched last Sept. 15, 2015 at the Crown Plaza Manila with Blue Water Day Spa brand ambassadors Christian Bautista, Miss Universe 2013 Third Runner-up Ariella Arida, model Ken Alfonso and actress Winwyn Marquez. Combining medical science with Blue Water Day Spa hospitality and relaxation, the Therapeutic Colonic Massage helps gently remove excess toxins from the body, starting with those that have accumulated in your digestive system. The treatment concentrates on the core (abdominal area), loosening the hardened blockages in your system through massage. The body then naturally expels wastes through normal body function. Enjoy the full-hour treatment, made more relaxing with the use of chamomile oil, in the calming ambiance of the Blue Water Day Spa suites. Though the massage on the abdomen itself takes approximately 20 minutes, you will enjoy its lasting results. In as little as one session, find relief from common digestive problems such as constipation, bloating, gas, and abdominal pains and cramps. The gentle boost on your digestive tract realigns organs and also helps your body cope better with hard-to-digest food. Regular, weekly treatments offer long-term benefits that include improved sleep, more defined abdominal muscle tone and restored energy. As you detox, the treatment also primes the body to respond better to diet and exercise, helping you lose weight faster and safely. Say goodbye to stubborn love handles, as you welcome a shapier and more defined figure. 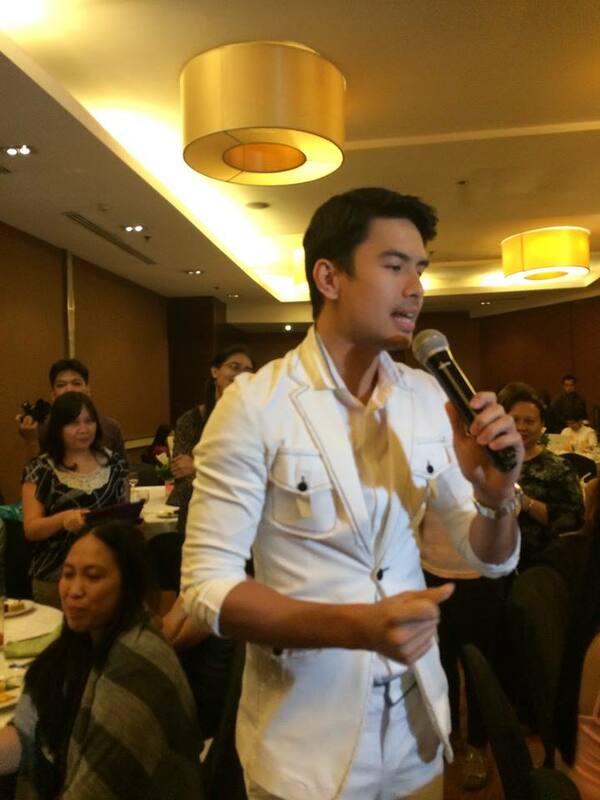 Popular singer Christian Bautista is an avid aficionado of the Therapeutic Colonic Treatment, “As a performer, my schedules are hectic and always changing, so I have to be in the best shape possible to meet all the demands of my work. The long nights and late meals do take a toll on my body. With the Blue Water Day Spa Therapeutic OClonic Massage, I feel better and have more energy. It’s a gentle detox that serves a dual purpose, because it helps you lose weight too,” said Christian. Spa enthusiast and beauty queen, Miss Universe 2013 Third runner up Ariella Arida visits Blue Water Day Spa whenever she has time. She pampers herself with a relaxing and beautifying Collagen Facial Treatment from Bluewater Day Spa to keep her skin looking youthful with that special glow. Actress Winwyn Marquez, on the other hand, keeps herself physically fit with various exercise regimens. But when it comes to looking her best, she swears by Blue Water Day Spa’s Photo Therapy Flash (IPL) Treatment, a highly advanced yet safe technology that removes unwanted hair permanently. Actor/singer/host Ken Alfonso maintains his perfect abs through Blue Water Day’s Revitafirm and Revitashape Treatments. Using the technology of heat through RF machine, this treatment tones your body and melts excess cellulite. Jumpstart your journey to a healthier, sexier, and more energetic you with Blue Water Day Spa.